Many observers declare that almost two years after the August war in Russia, Georgia appeared to be outside of the list of major issues among western politicians, as well as in Russia and world Mass Media. The one of reasons for that is the sound cooling of attitude of western leaders towards the personality of Georgian President Mikheil Saakashvili who remained without urgent support of the resigned colleagues from the USA, Ukraine, Poland and Lithuania. During the last Munich International Conference on Security Georgian President seemed to be lonely. Then he allowed himself public accusations towards the President of France. 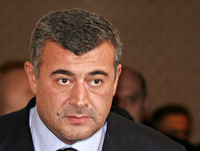 As a leader of opposition party “Democratic Movement – United Georgia” Nino Burjanadze said, this February Saakashvili blamed French President Nicolas Sarkozy (thanks mainly to whom Russian tanks were stopped near Tbilisi) in receiving a bribe from Russia. As if this way Moscow persuaded Sarkozy not to insist on the accomplishment of Sarkozy – Medvedev agreement on Georgia issues. 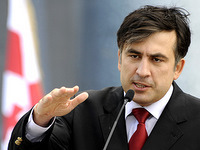 A bad sign for Saakashvili was that the President of Lithuania Dalia Grybauskaitė refused of the invitation of Tbilisi to com in the end of May to celebrate the anniversary of Georgian independence. On May 26th Georgia will celebrate the Independence Day. This date is as important for Georgians as the 16th of February for Lithuanians. President of Georgia Mikheil Saakashvili invited for the celebrations the Leaders of different countries, having friendly relations with Georgia, representatives of international organizations. Most of them replied positively. Lithuanian President also received the invitation. But Grybauskaitė replied shortly: “No”. “Simply this time is already planned” – said the Advisor of President Darius Semaška. However he didn’t specify the plans exactly. Today the people in Georgia expect more adequate reaction from the international community. Great expectations are laid on OSCE. Suppose, that the ruling regime of Saakashvili was included into the agenda of the forthcoming OSCE Summit to be held in Kazakhstan capital Astana. On this subject they talked with the OSCE Chairperson-in-Office, Kazakhstan's Secretary of State and Foreign Minister Kanat Saudabayev. He held a number of meetings in Tbilisi with Georgian authorities and politicians. The urgency of dialogue, which has no alternatives, led Nino Burjanadze to Moscow where she had a meeting with Putin. According to Burjanadze the objective for her trip was to “promote the process of regulation of the conflict around Georgian-Russian relations”, which after the August conflict around South Ossetia remained in crisis. “I came to Russia to protect the interests of Georgia and its people”. Loud declarations and anti-Russian hysteria which have become usual for current Georgian authorities, close all the ways for real regulation of problems of our country by negotiations with the Russian Federation, - stated the ex-speaker of Georgian Parliament. The meeting with Putin according to her words “was very interesting”. We touched upon almost all the subjects of Russian-Georgian relations”, - said Burjanadze, noting that on this stage these relations, as known, remain to be almost in the dead-end situation. “Exactly that is why it is necessary to talk on these issues, to find the possibility in the near future at least to establish more or less civilized and normal relations”, - explained the ex-speaker of Georgian Parliament, who used to functioned as Georgian President. Nino Burjanadze noted that during recent years Russian-Georgian relations “have practically got to a tragic dead-end”, expressing a hope, that they will manage to find the way out from this situation. “I’m more than convinced that it’s not only within the interests of Georgia but also within the interests of Russia to set up normal relations between our states and peoples. Normal relations between Georgia and Russia are urgent for peaceful development of the region as well as our peoples”, - said Burjanadze. 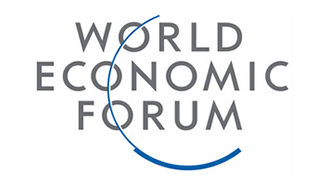 The current opposition thinks that Saakashvili has lost the international support de facto. During one of recent European Summits in Brussels he didn’t manage to meet any of European states Leaders. “We thank West for the financial aid to Georgia. But these finances today are used to enhance the regime. 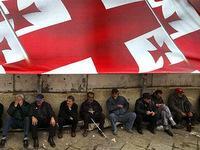 But not to promote democracy.” – says Mrs. Burjanadze. It’s worth mentioning that despite political factions inside the Georgian establishment, in case of Polish tragedy happened on April 10th near Russian Smolensk, within international arena Georgia looked pretty honorably in comparison with many European Leaders, Brussels authorities, who never came to the funerals of Polish President. Many international and Polish Mass Media noted that Georgian President managed to fly to the funerals of President Lech Kaczynski through five states from the USA to Krakow. A great response was received when the ex-speaker of Georgian Parliament, Leader of opposition party “Democratic Movement “United Georgia” Nino Burjanadze and the main committee of the party expressed deepest sorrow to Poland in connection with the death in air crash near Smolensk of President of Poland Lech Kaczynski, his wife and the members of official delegation and the relatives of all people, who where on board of the crashed TU-154. “Kaczynski was a person and a politician who fought for freedom and democracy. He was a great friend of Georgia and always supported it when necessary. His death is a big tragedy for Poland as well as for Georgia”, - noted Burjanadze. In May Georgia has to overcome not only the May 26th – Independence day. The elections of local Governments in the country are appointed for May 30th. This day there will also be the first direct elections of Tbilisi Mayor. This exactly covers the main intrigue, as a party affiliation of the capital master will mainly define closest political future of the country. But, despite the significance of political moment, the leaders of Georgian opposition didn’t manage once again to sell their personal ambitions and to present a single opposition candidate for the Mayor position. Some parties decided to boycott the elections as prior falsified. Most part of the participants still weren’t able to develop a unique position. As observers note, inspired by Kyrgyz example Georgian opposition strives to fight and doesn’t hide that the turning and victorious moment in its struggle for power will be in the end of May. She is also sure that the current Mayor of Tbilisi Gigi Ugulava, who is supported by “National Movement” – ruling party of Georgia, will be defeated in elections, and then, it, opposition, will be able to take Saakashvili and his regime off. By the way, the current Mayor of Tbilisi is named as a probable inherent of acting President, whose term ends in 2013. As one of opposition leaders Levan Gachechiladze claimed, Saakashvili is the enemy of Georgia and they should free the country of him. According to his words the change of authorities should be preferably performed with elections. Meanwhile some Georgian experts don’t deny that opposition will try to implement Kyrgyz plan during local elections. By this, doubtfully this will be done with the assistance of Moscow as Russia however is still satisfied with Mikhail Saakashvili as a Head of Georgian state, as political analysts think. This is connected with the fact that firstly the authorities of the Russian Federation more or less successfully manage to lay at him all the problems of Georgian-Russian relations. Moreover, Georgian President helps his Russian colleagues to do that for purpose of not. Meanwhile most of Tbilisi population keeps to the own, far from a purely political scale of assessments of the Tbilisi Mayor activity. People, naturally, acknowledge that the city and the country in general is tortured by unemployment, that the health care system is paid and medicines are incredibly expensive, that heating and light became a luxury, that democracy in Georgia – is more a show-off notion, that a real one, etc. But at the same time, they are satisfied with the fact that for the recent years Tbilisi has turned into a relatively not dirty city from a real dump with illuminated streets and yards, with sport grounds and parks, new sewer and piping system, repaired roads, normal phone connection and so on. And which is important, Tbilisi citizens are not afraid to go out after 5 p.m. and don’t guard their cars from being stolen during nights. And as for the European Union, then in case with Georgia, Brussels de facto betrayed the interests of Georgian elite, which strived sincerely to join the EU, having received definite “messages” as it thought. Europe in its current political view hasn’t proven itself. We shouldn’t forget also about NATO. More than 72% of Georgians voted for the joining.